Sherwin Williams, right, receives the keys to his new home from Assemblyman Clarence Jacob. FOURTEEN lucky people have received keys to units at Homes of Adventure Phase II, Townhouse Units. 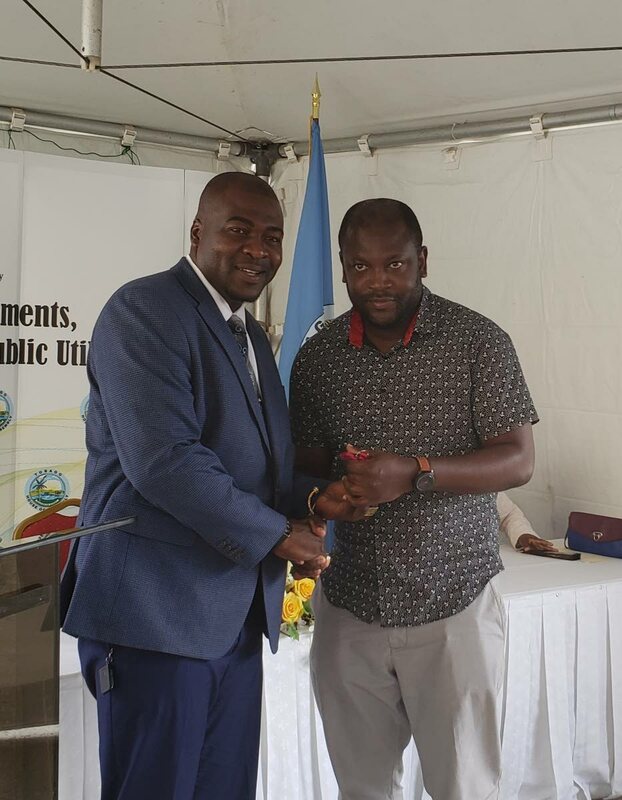 Speaking at Monday’s distribution ceremony hosted by the Tobago House of Assembly (THA) Division of Settlements, Urban Renewal and Public Utilities at the courtyard of Homes of Adventure Phase II, Secretary Clarence Jacob thanked the recipients for being patient. One home-owner, Sherwin Williams, said he had been waiting for over five years and was grateful to finally get his keys. Chief Secretary Kelvin Charles, in his feature address, told the new home-owners they were a “lucky bunch." He also pledged the THA's commitment to "the delivery of certain kinds of goods and services" and advised them not to take that lightly. 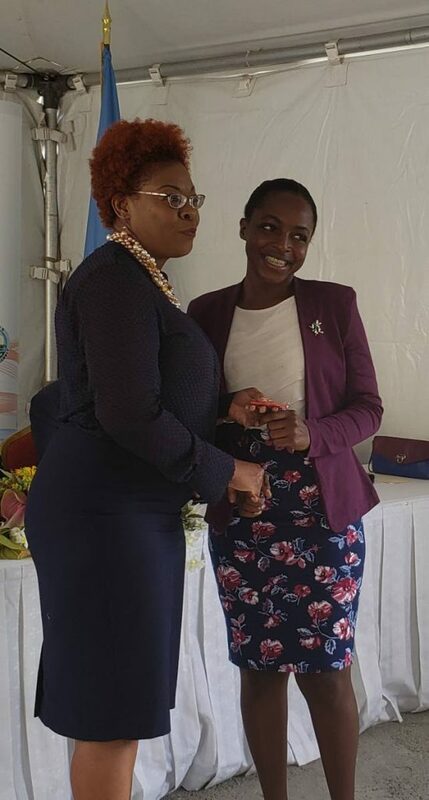 Ria Jones, right, collects the keys to her new home from the Administrator in the Division of Settlements, Urban Renewal and Public Utilities, Cherry-Ann Edwards-Louis. Charles echoed Jacob’s sentiments as he called for the families to be their brother's keeper. Charles said, “I say to you that the best security person you can get is a nosy neighbour…So if only to ensure that persons keep a look out for you, you need to ensure that you bond with those persons with whom you have to live. The new home-owners included Camille Gomez, Ria Jones, Rayann Davis, Renee Sampson, Arlette Boucher, Akeime Morrison, Sherwin Williams and Kerron Peters to name a few. Reply to "‘Lucky bunch’ gets THA homes"